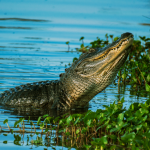 Have you been looking for a truly private airboat tour through the Everglades? One that is sure to have your hair blowing in the wind and your knuckles white from gripping your seat so tightly? 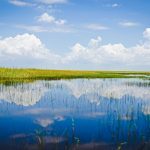 Maybe you’d like to see the Everglades on a private tour, but don’t have the time for an extended tour? Then you’ve found it with Fort Lauderdale Airboat Rides. Our one-hour airboat tour is truly one of a kind opportunity. While we get to see the Everglades every single day, we understand that not everyone has this privilege. Whether you’re local or visiting from outside of Florida, we want nothing more than to share the beauty of the Everglades with anyone and everyone. Our one hour tour is an excellent option for both thrill seekers and adventurers strapped for time. Whoever you may be, we guarantee you’ll have a phenomenal time. If you’re a lover of roller coasters and rolling down the windows of your car while driving down the highway, then our one-hour thrill seeker tour will blow you away. You and your group will board our state-of-the-art airboat from our private dock. You’ll be welcomed by one of our expert captains, who will be more than ready to take you on the ride of your life. They’ll explain all the rules you need to follow while onboard to ensure that everyone has an enjoyable and safe experience. Once that’s all settled, make sure that you’re strapped in tightly, as your captain will be ready to go right away. Airboats were designed to glide across the top of the water so they wouldn’t get tangled in shallow and densely packed waters of the Everglades. Your Fort Lauderdale Airboat Rides one-hour thrill ride will take you through the area at high speeds which are guaranteed to have you pressed as far back against your seat as possible. With several high speed turns and spins, this isn’t an option for the faint of heart. If you’re looking to step out of your comfort zone and do something that’s out of this world, then our thrill ride tour is perfect for you. If high speeds and the wind blowing in your face doesn’t interest you, consider our one-hour informational airboat ride. While not as in-depth as our two-hour eco-tour, our one-hour informational tour still highlights some of the best parts of the Everglades. We’ll do our best to showcase some of the local flora and fauna that call the Everglades “home”. Your captain will be more than happy to answer any and all questions you may have regarding the Everglades. 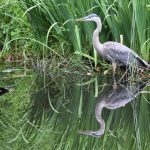 Our one-hour informational tour is ideal for those who don’t have as much time for our full eco-tour experience, however, it’s open to anyone interested! Both the one hour thrill ride and informational tours are priced at $275, respectfully. This price includes the admission of two passengers. Additional riders will cost an additional $75 per person. All children under five years old will ride for free. For more information regarding our one hour tours, visit our contact page or call us today at +1 (954) 284-9130.